I love the color, design & fit for this bandolier on my planner . A really cool solution for folks who journal. Just what is needed for a Moleskine Notebook. It fits just right across the notebook. 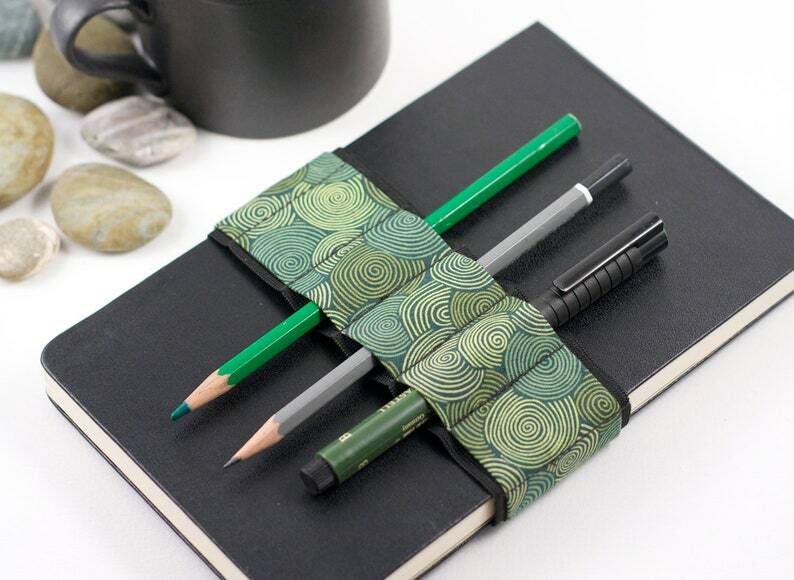 Cute, handy for pens and pencils and just right.